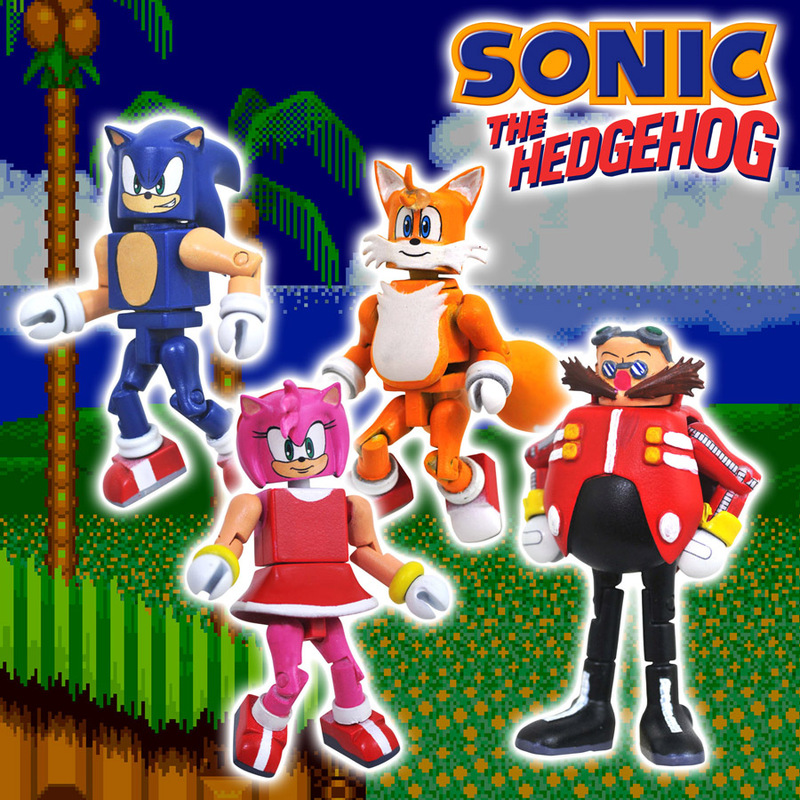 Hurry up, it’s time to order the first set of Sonic the Hedgehog Minimates! 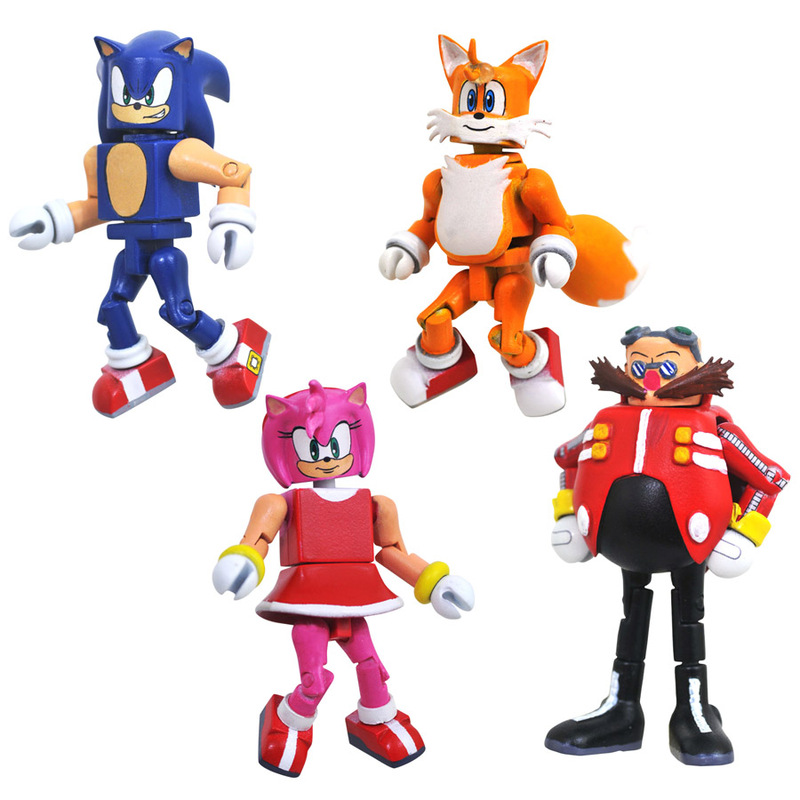 Based on the long-running, smash hit video game series, the Sonic line kicks off with a bang, as Sonic, Tails, Amy Rose, and the evil Doctor Eggman! Each two-inch mini-figure features 14 points of articulation and fully interchangeable parts, and includes a clear display stand. "I am an old school Sonic fan - I played the first two games on my Genesis, and Sonic Adventure 2 on my Gamecube. I am excited to see what DST does with this license, and I LOVE how Doctor Robotnik turned out!"